Come winter, Tokyo is awash in sea of light. 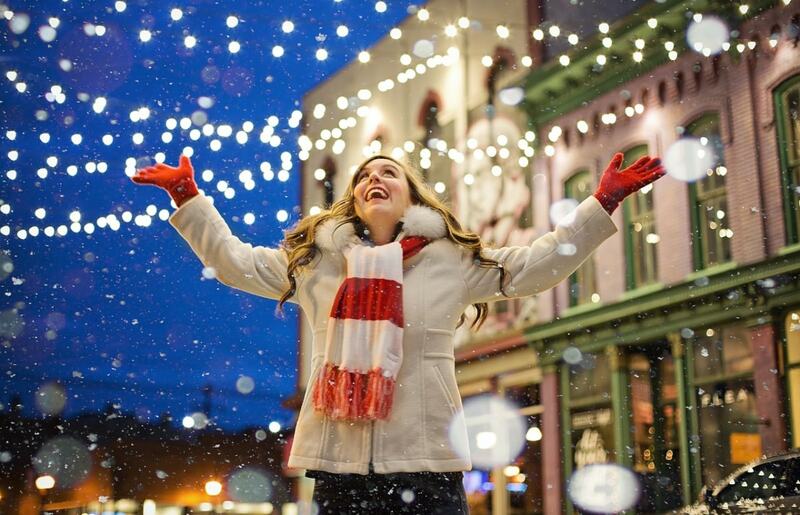 Illumination events take place all over the city, inspired by a variety of different themes, ranging from Christmas cheer to interplanetary space and even Disney. There are enough events to keep you occupied for the whole season, some of which are just too good to be missed! Japan loves put on a spectacle, be it in the form of summer hanabi firework shows, events that celebrate the nation's vivid autumnal foliage or the menagerie of parades, fairs and markets that fill in the calendar throughout the year. Come winter, illumination events take to the center stage, and nowhere has more to choose from than Tokyo. As the last rusty hues of Tokyo's autumn leaves say their farewells, they make way for a cascade of bright lights and multicolored LEDs that brighten up the winter skyline. The events take place in the city's most picturesque parks, in some of the most luxurious downtown neighborhoods and even take over entire areas. Here are five of the best free winter illuminations that Tokyo has to offer! Blue Cave (Ao no Dokutsu・青の洞窟) is one of the best parkland illuminations around! It's a relatively new addition to the calendar, debuting back in 2014 in Nakameguro, and has recently it has shifted its location to Tokyo's nightlife hub, Shibuya. The illumination is designed to resemble a blue cave as the Zelkova-lined pathway running from Shibuya Koen-dori to Yoyogi Park Keyaki Namiki is dressed in striking, icy-blue LEDs from top to bottom. It's a truly magical 800-meter stroll and at times feels almost extraterrestrial, as if it were plucked straight from the set of a Sci-Fi movie. Hours: 5 p.m. - 10 p.m. The Yebisu Garden Place Winter Illumination is a festive-themed illumination event and Christmas market that kicks off in December at the grandiose Yebisu Gardens in Ebisu. The event area is soaked in a regal, golden light that is intertwined with shades of festive reds. The event also features a 10-meter-tall Christmas tree and an enormous Baccarat chandelier that is accompanied (rather fittingly) by a champagne bar through December. The Christmas market comes with the usual trimmings of mulled wine, continental European food and great music, and finishes on Christmas day. The Baccarat Chandelier illumination and champagne bar finish up around January 14, but the seasonal illumination lasts all the way through until spring! Hours: 4 p.m. - 12 p.m. The Keyakizaka Winter Illumination at Roppongi Hills is arguably the best of the illumination events to take place on the city streets. The illumination runs along keyakizaka-dori in the tourist-centric district of Roppongi, and 2018 marks its 15th anniversary. Since its inception in 2003, it's been a major winter attraction for the area, as 700,000 LEDs—which change color every three minutes or so—engulf the trees that align the busy thoroughfare. The hues of light change from frigid blues to warmer reds, a representation of cold winter nights juxtaposed against the warmth of the festive season. The icing on the proverbial cake is the eponymous Tokyo Tower standing elegant in the background, creating a picture-perfect Christmas postcard image! There's also tons to do in the area, so you certainly won't be disappointed. Hours: 5 p.m. - 11 p.m. Staying in the Roppongi area we have the Tokyo Midtown Starlight Garden Illumination. It is a spectacularly unique event where an assortment of decorative lights and bulbs cover the expansive "Green Square" at the multi-purpose Midtown complex. The design takes its inspiration from interplanetary space, resulting in a bedazzling, cosmic display. 2018 will also feature a special "Soap Bubble Illumination" that will run until December 16. Expect some seriously atmospheric and dynamic visuals, as each day around 450,000 soap bubbles and an astral mist will saturate the surrounding night sky. As this is one of the most popular (and therefore busiest) illumination events in Tokyo, it's best to go early. Around Christmas Eve you may spend the evening driving your way through herds of champagne-wielding couples to no avail, so plan accordingly! This illumination event takes place at the Caretta Mall in Shiodome, and involves Disney-inspired illumination shows which focus purely on spectacle. 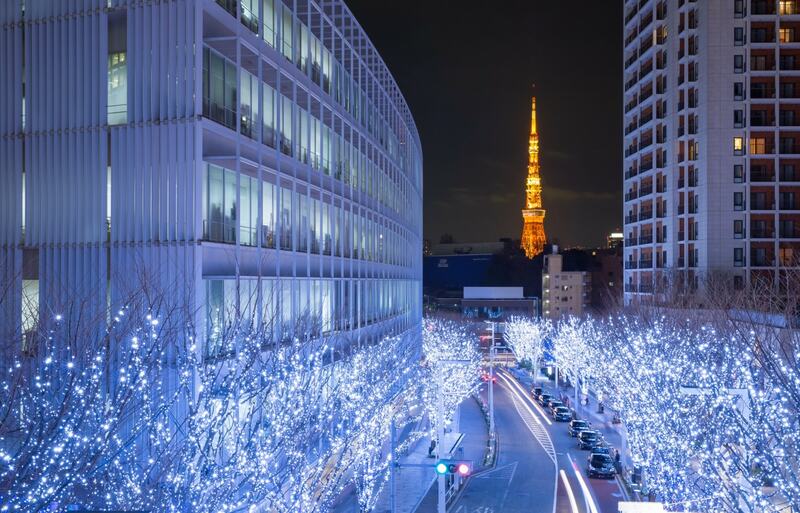 It's also one of Tokyo's longest running illumination events, lasting from mid-November until mid-February. The 2018 event revolves around the theme of Disney Princesses, with particular emphasis on recent classics like Frozen and Tangled. The shows (which take place every 15 minutes) feature an awe-inspiring array of LEDs which are choreographed to classic songs from the movies, like Frozen's "Let it Go." If that still isn't enough, there's also a special show at 5 p.m. every day that's based on Pixar's recent hit (and long awaited sequel) The Incredible's 2, so there's plenty of fun for families and couples, young and old alike. Don't be fooled by the event's unassuming location in a central city shopping mall. This is generally regarded as the best of its kind in Tokyo, a prestigious accolade indeed!